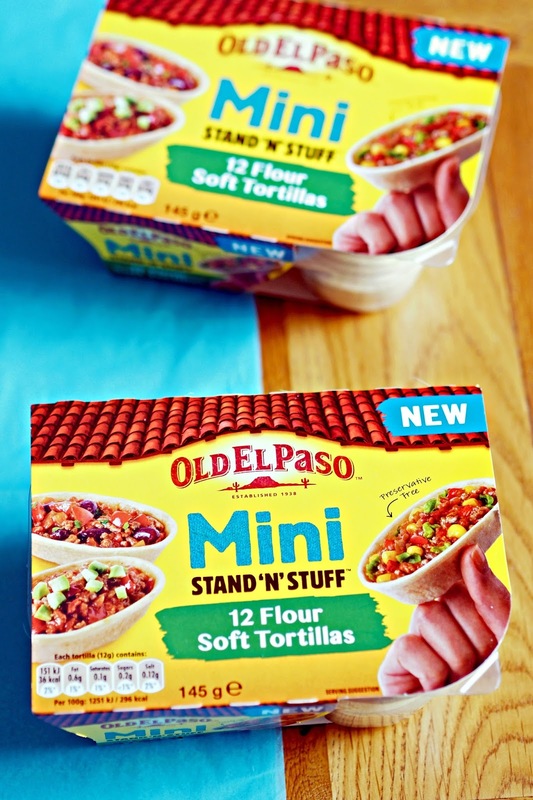 Old El Paso have launched a new range of their Stand n Stuff tortillas - which are just like the larger version, just in mini bite size portions. They're little boat shaped tortillas which have a flat surface so are perfect for stuffing with all sorts of fillings. 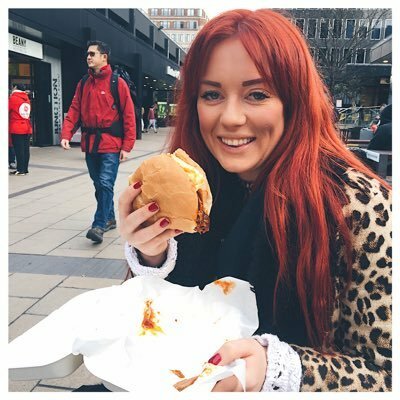 I'm a massive fan of using these on our weekly fajita night but when Old El Paso got in touch and asked me to create a new recipe for the launch, I decided rather than do something savoury, I would create something sweet...and I promise it works! 2. In a small saucepan, heat the butter until melted then lightly brush each tortilla shell. In a separate bowl, mix the cinnamon and sugar and dip each shell into the mixture until evenly coated. Make sure you sprinkle the tops too to coat the inside. 3. Arrange the shells on a baking tray and bake in the oven for 7-8 minutes or until golden brown and slightly crisp. 4. 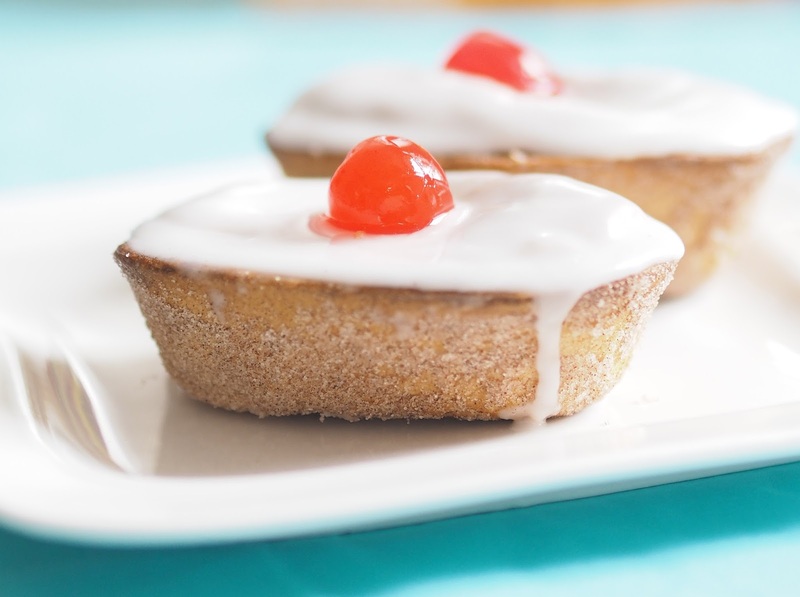 Whilst your shells are baking, beat the remaining butter and sugar together until creamy then add the remaining Frangipane ingredients and combine until all thoroughly mixed. 5. Once the shells are out of the oven and slightly chilled, spoon a small layer of jam into each shell and spread evenly to coat the bottom. Top with the frangipane mixture and place back in the oven for 15-20 minutes. 6. 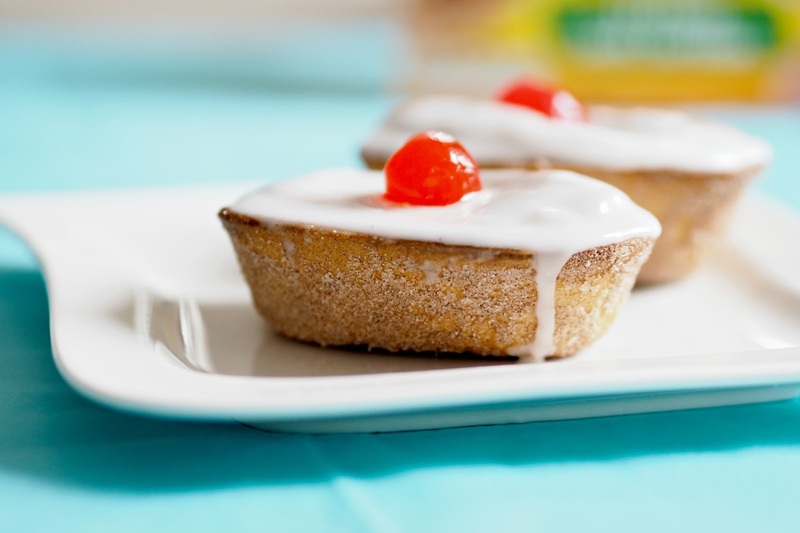 For the icing, mix together icing sugar with 1tsp of water and spread of each of the tarts once fully cooled. 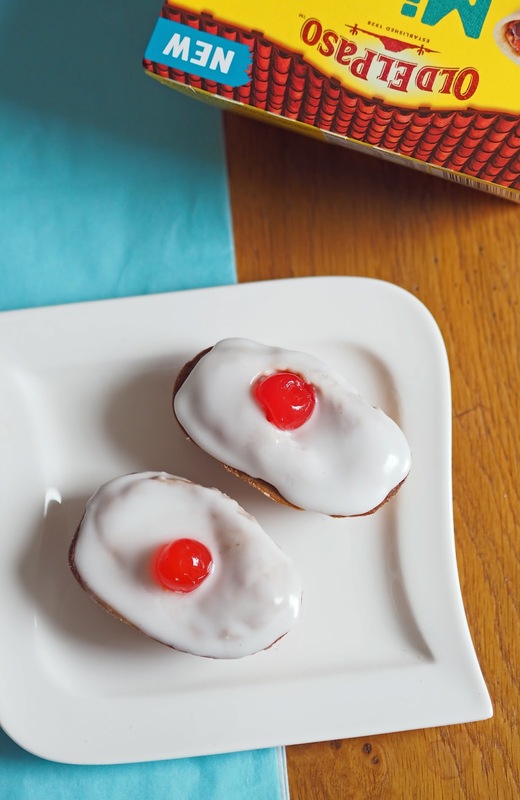 Top with a cherry and then resist the urge to wolf the whole lot down in one!